She finally came out and she’s beautiful!!!!!! It’s so so surreal…. I have so much to thank Allah swt for. My name is Mariam Iman Shah. I think…….. she looks like Fadza!!! MasyaAllah. Congrats!! 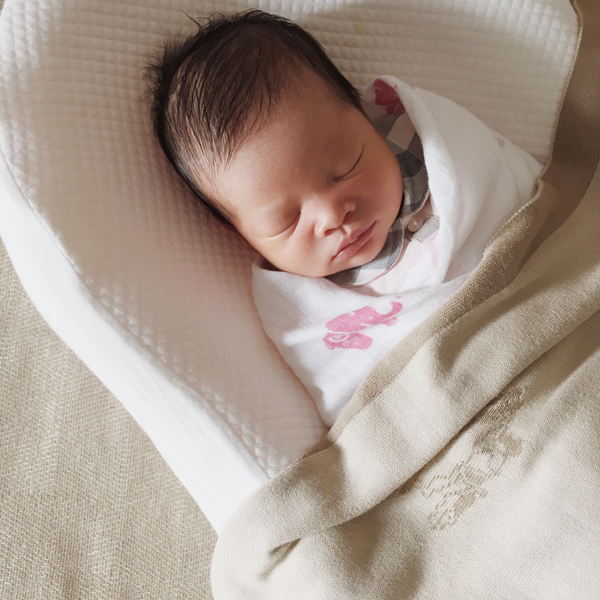 Congratulations vivy…she is your ‘sweet n candy’ right now…may baby Mariam becomes a good and healthy baby..
Comel…..nak baby lagi huhuhu……moga bahagia dunia akhirat…. Homagoodd she looks like daddy!! Congrats V and Dean!! She looks healthy and beautiful!!! And the name is so beautiful too. Waalaikumussalam and hi baby mariam. Waalaikumsalam Baby Mariam! MasyaAllah you are so precious and beautiful!! Alhamdulillah.. May Mariam be as beautiful as her mommmyyy. Subhanallah!! Super cute like Vivy but her face is like Fadza.. May Daniel be an awesome big brother!!! awww….congrats! that’s a beautiful name. Congratulations Vivy and Dean! Semoga Maryam membesar dengan sihat dan menjadi anak yang solehah yang dapat memberi “saham” pahala pada ibu bapanya suatu hari nanti. And Daniel, you have a baby sister now!! May Daniel be a protective brother for her. Lastly, she looks like Dean! Dean’s is surely on the cloud nine! Tak perlu sampai gosok belakang telinga cari iras dah. Haha. MasyaAllah. Mabrook to u. Semoga menjadi anak salehah penyejuk hati ibu bapa. then I thought, I think I’ve read the words “kak mariam” before, somewhere in this blog long time ago. Someone who is important to you? Eh maybe it was just my imaginations. alhamdulillah..beautiful name vivy..congrats! me mother of 2 kiddos..2013 & 2014..fatigue but enjoyed!!! Masyaalllah! She is so beautiful. ..
Congrats Vy & Dean.. Finally she’s out! Beautiful name for a beautiful baby girl. Mariam is a popular name in my family too, mainly because of our ancestors hehe. BTW I think she looks a wee bit like your sister..Cant wait for her OOTDs :p Meanwhile, you better take a step back & chillax k mommy! beautiful baby… everything is beautiful..
Alhamdulillah, Baby M is healthy! I can’t wait to see her grow and it must be better now for your family because Dean have been having matching clothes with Daniel and now you can get matching with Mariam! I can’t wait to see her together with you. Congrats Vivy.. tahniah. and alhamdulillah..
she is soooooooo beautiful… oh.. and baju dia cantik!